Wow, it has been a while since I have posted here and I feel rather guilty about that. I am still looking to get Black Cat Chronicles: Fire Walker out by Christmas. It moves ever closer and closer to finishing, but this year is also vanishing terrifyingly fast. I mostly want to get this one done so I can get on with polishing the third book, which currently sits at about 30K, completely outlined and ready to go – the third book is my favourite of the lot so far. The main reason for my “procrastination” and delay, and lack of motivation to actually write anything; Art. 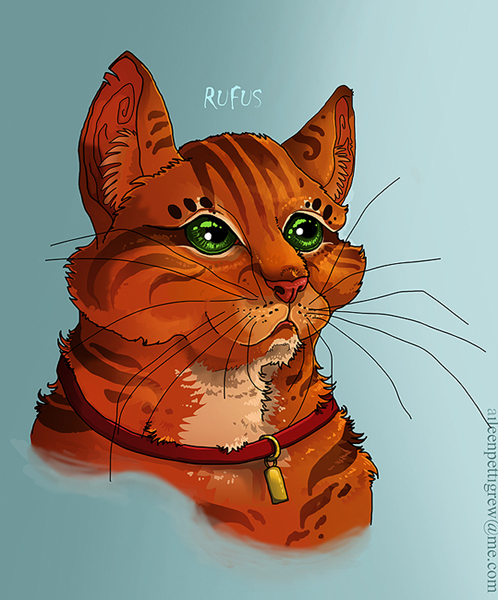 I have gotten back into drawing in a big way, mostly thanks to my frustrations at not being able to visualise Bee and Rufus and the gang on paper the way they appear in my head. So I started drawing again… and kept drawing and kept drawing. 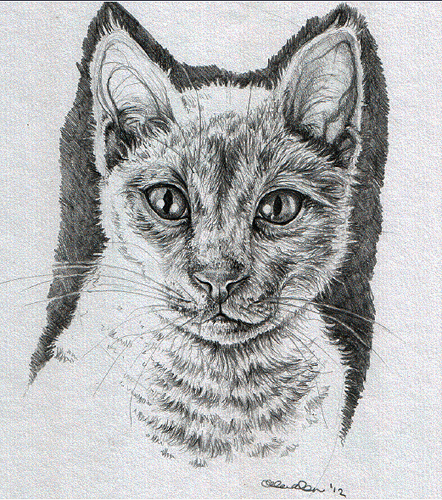 I have started up a brand new blog to put my art adventures on – and art is definately getting much more attention than the writing at the moment. I put it down to the fact that after being at work all day, plus the usual stresses of life and so on – it is just so much easier to sit and draw something than to try and work out what my characters would do in this particular situation. When I draw, I can do so in 20 minute bursts here and there, with the TV on, hustle and bustle, checking mail in between and the usual gubbins that goes with life – but when I write I need to be silent, alone, no distractions and it will take a good hour until I get into the flow – so not very conductive at all. It does make me frustrated though, and it has also made me sign up for the National Lottery just in case (you never know). 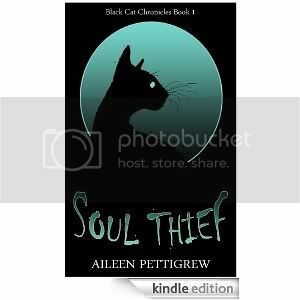 However, I will soon be placing the first few chapters of Soul Thief up on my site as a taster, and I am thinking of redesigning the cover to something a little more professional (with my growing art skillz). So I am silent, but have not forgotten! Link to the art/distraction from writing. I am still here and as the header says, still writing – but not as much, I must disgracefully admit, as I should be. Have been caught up with one hundred other things, have been drawing, working, coffee dates, more work and more art… but I have put down another 5k on Fire Walker. And on that note, I will have to say that there is no chance of Fire Walker being ready for July! Haven’t even finished the second draft, and I like to do at least four…. so watch this space. Would rather not rush to meet a deadline, will certainly be done this year though and that’s all I am commiting to for now. 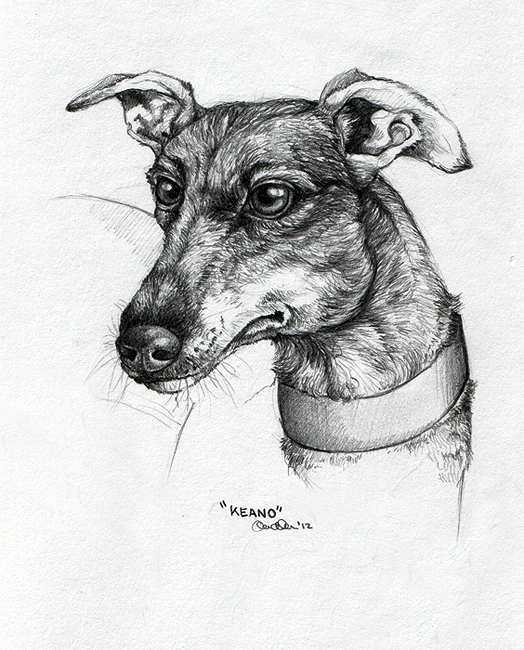 On a happier note – for Purplewax – here is a portrait of Keano (Only slightly late – my scanner is being a pig). I will be rescanning again as this is a poor scan, but thought you might like a gander until I can fix my scanner. Oh my goodness, I deserve a slap on the wrist (or worse!). It has been far too long since I have posted. I am going to blame a mixture of working extremely hard at the Day Job, plus spending a lot of time Arting, and also – have just landed a new job. It is not in art or writing, but is in my chosen profession (until Art and Writing take off!) and is a better scenario than current Day Job, which makes me happy! Even better, it is local and the work day ends half an hour earlier than current Day Job, so that will give me more time to write in the evenings. New job kicks off in just over a month, so that is something to look forward to. I have to confess, a lot of my absence has been simple procrastination. Sometimes it is too much to bear, the thought of the hurdles ahead required to finish this next book, and to build an online presence as a writer. However, this is very telling – I haven’t sold as many books in the last few weeks as I have when being active. My little writing seed is still too small to stand tall on it’s own, it still needs watering and sunlight or it is going to wither. This is definitely the hardest part, getting noticed. But I now have two reviews to my name, and am about to offer copies to more reviewers, and that should get things moving again. It’s rather hard, this writing gig, especially without an agent. However, this is a great path, it just takes a lot of work. Still hoping to get Black Cat Chronicles : Fire Walker out in July! It’s looking promising. I am going to be looking for a couple of Beta readers soon, to check the book through and give me initial thoughts. Any takers? And then, onto finishing the next one, hopefully December/January. Still torn as to finish “Gravity”(high fantasy) or horror(unnamed, lets call it “The Thing in the Snow” for now). Husband thinks “Thing in the Snow” has more promise, whereas I think “Gravity” will appeal more, looking at the popularity of the genre on Amazon at the moment. Hmmm. At least it is good to have options! So yesterday I discovered I had another review! Another goodie. It really makes my day. Now if only I could work out how to get more people to see my book. The second book is sitting at 61k at present – got a long way to go to hit the July release date, especially with how busy the next couple of months are going to be, especially as I am also working on the art / pet portrait side of things too – but it is fun. Great fun. Blame it on the fact I have had several days holiday from work, but I have been rather uninspired the past couple of weeks! I have really struggled to put pen to paper, nor to promote – and it has been interesting to see how things have been going. At this early stage, you can really tell that it is rather important to look after your book – you can’t just throw it out there and expect it to survive. Sales have been very slow (although I have been hearing that it has been a slow month for everyone so far), but I am certain in part that it is also due to the fact I haven’t been actively promoting at all the past two weeks. This being a writer thing is hard! I am sitting at 60k of Fire Walker – still intending for a July release. I haven’t looked at Gravity or the hopeful horror at all! I have, however, started on another completely unrelated project that I am experimenting with, to see what happens in the long run. It is so easy to start a project, a lot harder to finish. I have a couple of distractions for the rest of this week, but I am going to knuckle down and finish the second draft of Fire Walker by end of May. Decided. It also doesn’t help that I bought some new paints, and some new orchids, both of which require substantial babying and time. I have said it once, and I will say it many times more. There are not enough hours in the day! 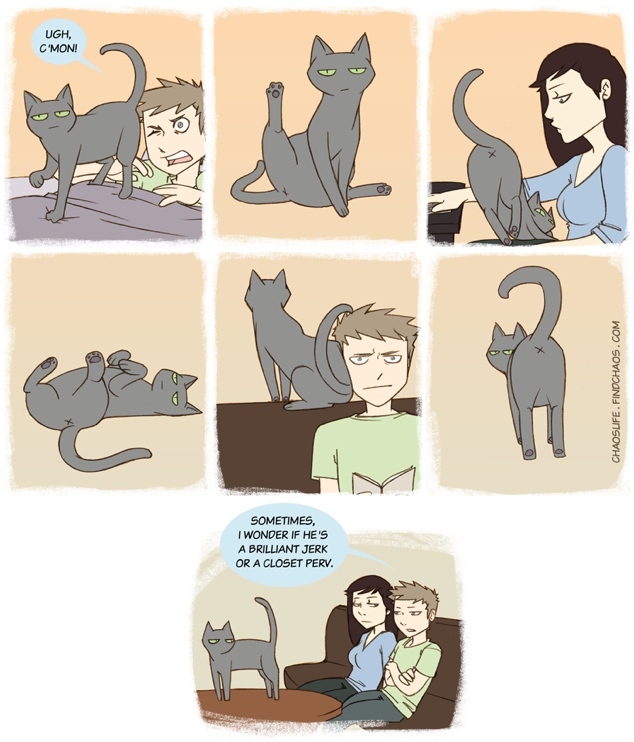 Found this online and it is so true. I have been recommended for my first award. 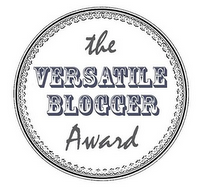 Thank you to Pete Denton of http://petedenton.wordpress.com for putting me forward for the award! 1. The first story I ever wrote was a Startrek / dragons of Pern crossover. I know. 2. The TV series Monarch of the Glen is set in my hometown. I am in one of the episodes. I am not telling you which one. 3. 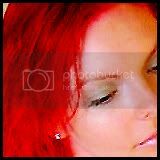 I have dyed my hair different shades of red for over 10 years now. I am actually a blonde. 4. I used to groom celebrities dogs as a career. 5. I have lived on three different continents, but am actually rather glad to be back in the UK. Although I do miss Oz. 6. I am originally from Scotland, but hate the cold. My electricity bill is painful. 7. I will stick anything in my mouth. Confirmed foodie, and have eaten some really weird things. 1. http://elenacaravela.wordpress.com/ – for being an awesome artist, great inspiration, and all round nice person. 2. http://sarahgoodreau.wordpress.com/ – quirky artist, can’t get enough of the art! 4. http://teklanikaphotography.wordpress.com/ – photographer. Stunning, stunning photographer. 5. http://robincoyle.wordpress.com/ – fellow writer. I think she has already been nominated before, but hey – great blog. 6. http://giddysap.wordpress.com/ – great blog, and she inspired me to buy my first set of weights. 7. http://bklynorchids.com/ – because I love orchids and this blog is just wonderful. 10. http://twopartswhimsicalonepartpeculiar.wordpress.com/ – another great artist! 11. http://craighallam.wordpress.com/ – writer, great blog! 12. http://secretlifeofamanhattancallgirl.wordpress.com/ – very touching, interesting blog. 14. http://lightswimming.com/ – another great photographer! 15. http://bonesdiary.wordpress.com/ – a dog who tells it like it is. I hit my first sales goal yesterday! Not much, but a start. Bring on goal number two, and bring on book number two. 2k down yesterday on Fire Walker. Many more K to go. 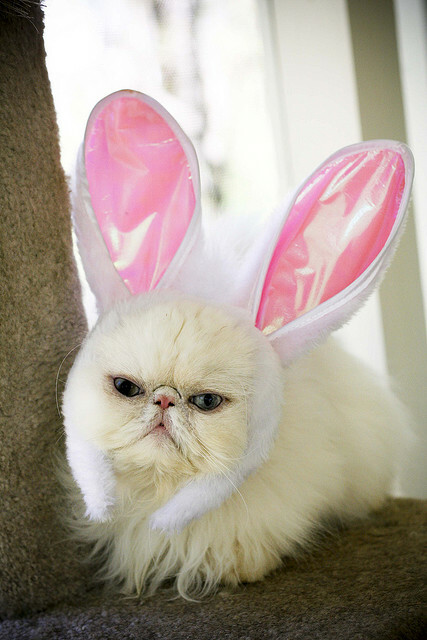 I am enjoying my Easter with a Cadbury’s cream egg, and with three books open on the computer, vying for attention. Which one will get there first? It’s going to be a fight, but I think Fire walker will be the next one finished. I am utterly thrilled, and I am going to ignore that it was posted on April 1st. Whoops, a week without a post – just goes to show how utterly busy I seem to be these days, and I haven’t put paw to paper all week – writingwise at least. I have been taken up with drawing, every spare second it seems, but always in the back of the mind is the reminder that I have goals to achieve – mostly, the release of book 2 in July – hopefully. That’s not that far away. By far, the hardest part in all of this is finding an audience. I didn’t sell anything last week, which was saddening, but then I also didn’t have much of an online presence this past week and at the moment my book is like a baby, needing constant tending. Hopefully, as time passes it will be able to look after itself a bit better. And on that note, I have also taken Monday as a holiday to get in some serious writing. I want to get Fire Walker looking a bit healthier, and my lovely other half has proclaimed that he wants to know more about the “scary” novel I started last year, suggesting I work on that one rather than another fantasy novel (Gravity). I re-read what I had written of the scary stuff a couple of days ago and it does have potential – so I may as well throw it into the mix for a hopeful release this year – sigh. I really need less to do! I have updated my header above – I don’t like the resolution but I don’t think I have a choice. Bee still isn’t quite right (black siamese) but Rufus is pretty close! Hmm? What’s that you say?